Monash researchers have discovered a new mechanism that enables plants to regulate their flowering in response to raised temperatures. Published today in the journal Nature Plants, the finding could potentially lead to the development of technology allowing us to control the physiological response of plants and mitigate the impacts of warming temperatures. 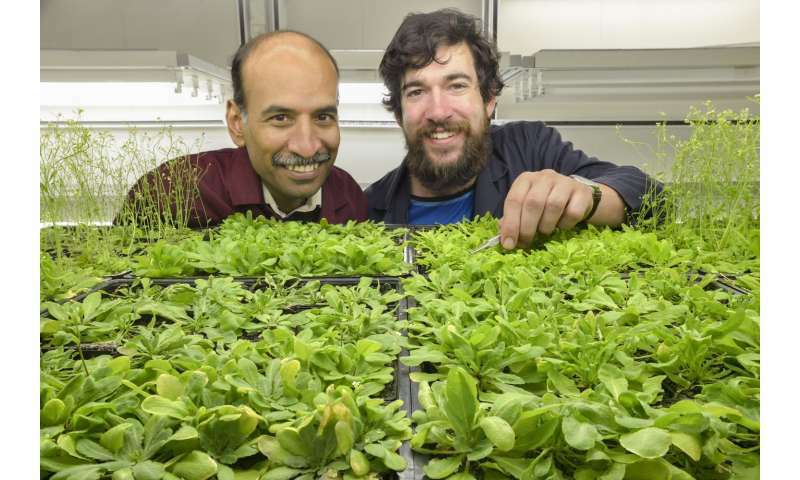 The Monash team led by Associate Professor Sureshkumar Balasubramanian made the discovery by applying a combination of genetic, molecular and computational biology experiments to the flowering plant Arabidopsis. Associate Professor Balasubramanian explained how two key basic cellular processes work together to reduce the levels of a protein that normally prevents flowering, allowing the plants to produce flowers in response to elevated temperature. "This is very exciting as our understanding of how these genetic mechanisms work together opens up whole new possibilities for us to be able to develop technology to control when plants flower under different temperatures. These mechanisms are present in all organisms, so we may be able to transfer this knowledge to crop plants, with very promising possibilities for agriculture," Associate Professor Balasubramanian said. While Associate Professor Balasubramanian discovered the genetic basis of temperature-induced flowering ten years ago, only now, with the availability of new computational approaches, were the researchers able to discover this mechanism. "It will be interesting to investigate whether similar mechanisms operate in the control of other genes in response to environmental changes," said ARC Post-doctoral researcher Sridevi Sureshkumar, the paper's first author.